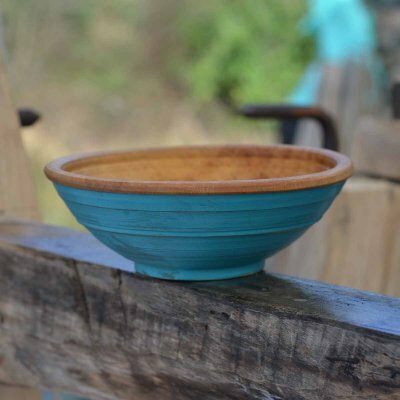 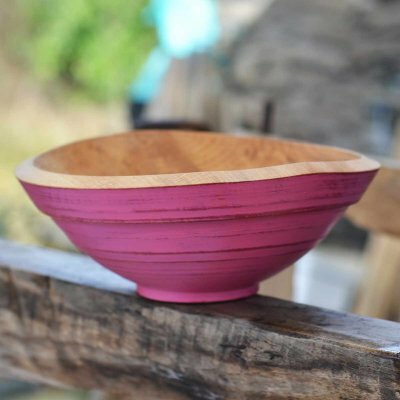 The coloured bowls are painted using food grade pigment and refined linseed oil. 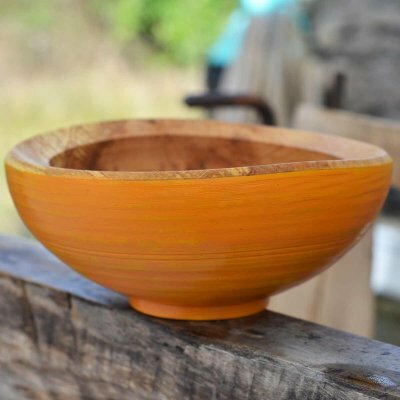 I layer on the coats and then rub back to reveal highlights. 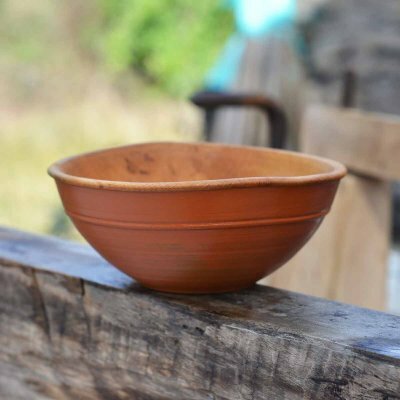 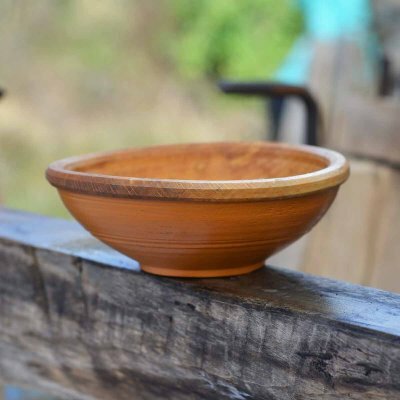 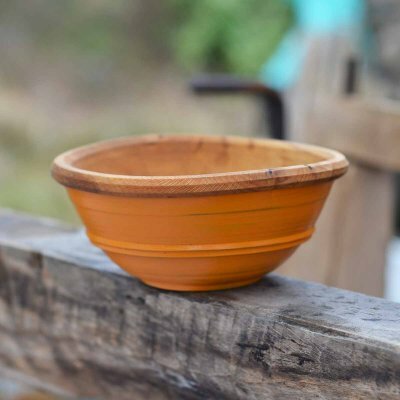 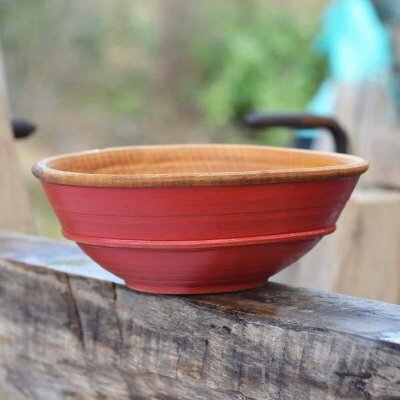 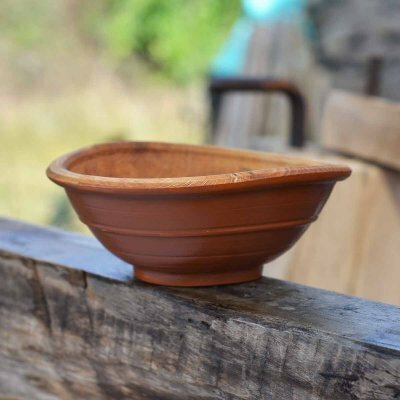 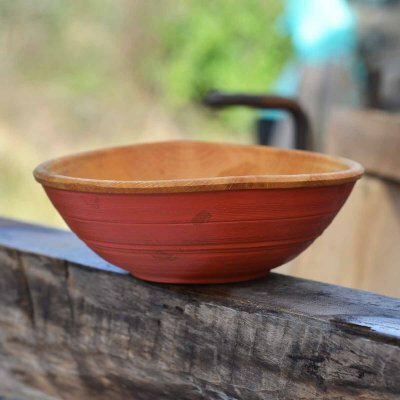 Each bowls is finally finished using organic cold pressed raw linseed oil. 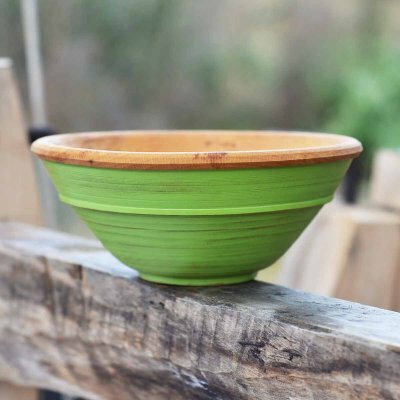 These bowls are safe to be used in the kitchen and contain no harmful products in the paint or the finish. 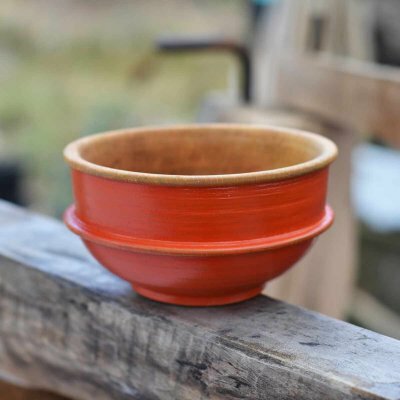 The paint layers will gradually be worn from regular use and cleaning. 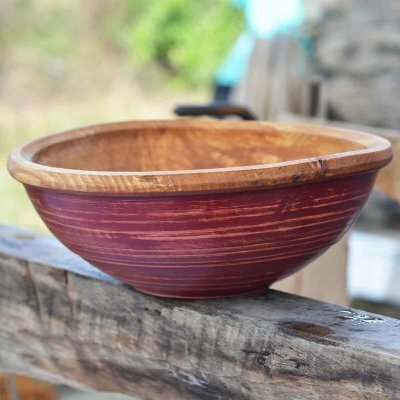 This will add to each bowls attractiveness, as the layers and the wood ground begin to be revealed.